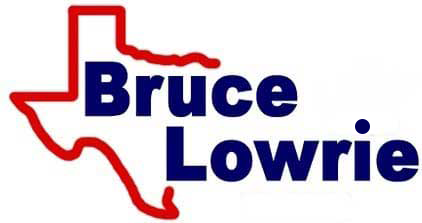 For all of your auto sales, finance and service needs, Bruce Lowrie Chevrolet in Fort Worth, Texas, is here to assist. Our new and used car dealership is conveniently located near North Richland Hills, so contact us whether you're looking for a vehicle upgrade or are in need of genuine car parts for an at-home repair; we offer a variety of services to put to use! And thanks to our auto appraisal services, upgrading to the new or pre-owned vehicle you want is a breeze. Shop our inventory online or value your trade-in before getting in touch with our auto sales team! With assistance from our on-site finance department, all drivers near Arlington, TX can explore the competitive range of vehicle loan options that they deserve. Learn more about the terms you can put to use, complete one of our Bruce Lowrie Chevrolet car credit applications today. We work with a number of lenders in the area so that we can assist drivers of all credit scores, including those who hold sub-prime ratings! Our service and parts departments will work together to keep your used Chevrolet Cruze running like new. We offer work that is completed with genuine car parts, competitively priced and handled by a certified technician. Book an appointment over in our service center no matter what brand of car you drive or order original equipment manufacturer products if you're interested in tackling work at home! It takes less than half an hour to get to our new and used Chevrolet dealership, so if you're ready to browse our cars for sale or treat your vehicle to the auto care that it needs, make your way over today! Head north on Blaney Ave. toward Shauna Dr. and turn right to stay on Blaney Ave. before taking a right onto Oakland Ln. From there, turn left onto Holiday Ln. and right onto NE Loop 820; stay to the left and merge onto I-820 S.
Stay left to continue onto TX-121 S and exit onto I-35W S/US-287 S/US-377 S toward Waco. Stay left and merge onto I-35W S. Exit toward Abilene and merge onto I-20 W.
Exit toward Farm to Market Rd. 731/Crowley Rd./James Ave. before merging onto California Pkwy N/SW Loop 820, being sure to stay to the left. Our Chevy dealer will be on the right. We look forward to your arrival!